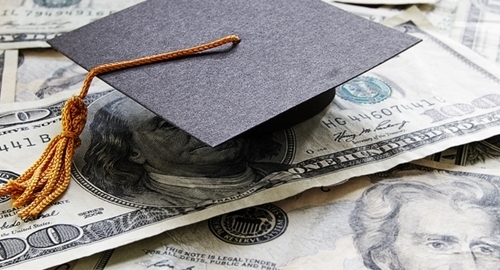 Private institutions in the student loan business are beginning to put plans in place to allow borrowers to modify the terms of their deals when they're having difficulty making repayments. Wells Fargo was the first bank to announce its plan earlier this month, and others, such as Discover Financial, are already following suit. Wells Fargo will study applications from borrowers facing "financial hardship or distress" on a case-by-case basis to determine whether they are eligible for a long- or short-term modification. This will include borrowers who are up to 130 days behind on their payments or may fall behind soon due to job loss or medical issues. When the student and a parent are co-signers, they both must demonstrate hardship. Discover has yet to reveal the details of its own plan, but the company introduced an option this year for borrowers who are less than 60 days late and have good credit histories to make interest-only payments. Another option is that implemented by Sallie Mae, which allows some clients to stretch out their loans, lowering monthly payments but not the total amount. Private loans can be troublesome because they are often taken out by students who have exhausted their federal loan options, and they have higher interest rates than their government-issued counterparts. Private lenders have focused on areas such as graduate, law and medical school, where students take on higher debt than in other areas. Loan servicing software helps lenders manage essential student loan tasks including accounting, collection management and reporting to keep updated tabs on repayments at all times.